At Aberdeen Dental Care, we know that families today are busy. The challenges of work and school combined with the scheduling extracurricular and social events can be overwhelming. Because of busy schedules, many parents try to find a dentist who can treat their entire family. This helps each family member feel more comfortable with the dental team and is convenient when it’s time to schedule dental checkups. 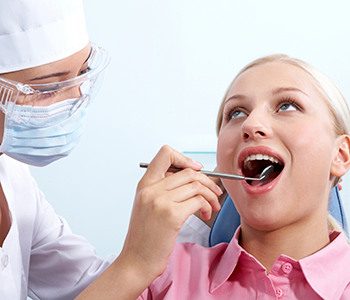 Preventative: Services that keep your mouth healthy are critical. At Aberdeen Dental Care, we provide parents with the information they need to develop healthy habits with their children. Additionally, dental checkups are an opportunity for our team to examine your mouth and spot any potential problems before they develop into bigger concerns. Restorative: Even with the best preventative care, sometimes teeth or gums become damaged or infected. Our team provides fast, effective, and quality care to address the issue and restore your dental health. Services include cavity fillings, gum disease treatment, crowns for damaged teeth, and options for replacing a missing tooth. Cosmetic: A great smile is important to the way you look and the way you feel. Many patients have features of their smiles that they would like to change and the team at Aberdeen Dental Care can help. From teeth whitening to dental veneers to orthodontic treatment, we can improve your smile and your confidence. Drs. Kevin O’Shea and Pita Dhaliwal have been providing expert care to Vernon, BC families for many years. For more information, call our office.